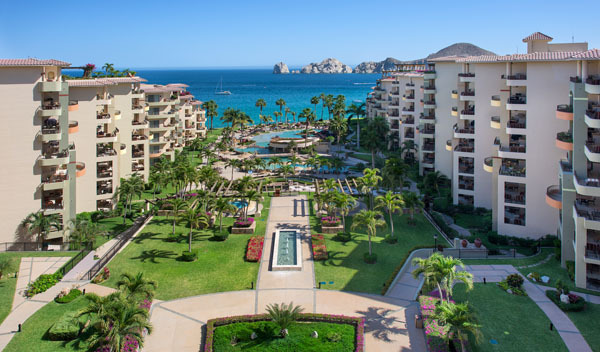 From the famous El Arco rock formation to its state-of-the-art golf courses, Los Cabos welcomes visitors with an exquisite combination of natural beauty, pristine beaches and luxurious amenities. Located 45 minutes from Los Cabos International Airport, the Villa La Estancia resort is the epitome of five-star luxury. 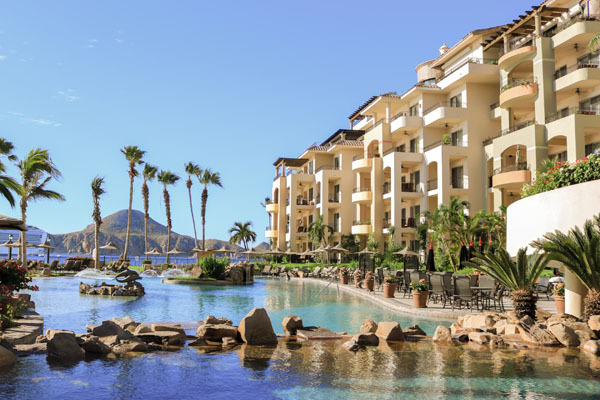 The property is nestled on scenic Medano Beach, which is the most bustling beach in the region and rated one of the best swimming beaches in the city of Cabo San Lucas. 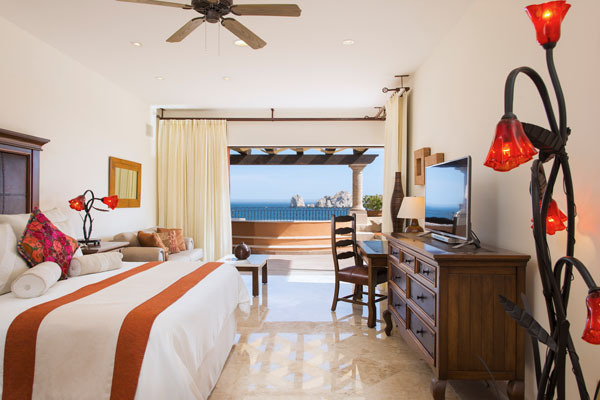 From the balcony of your hacienda-style suites, you look out over into the marine expanse and take in exquisite views of the famous El Arco (a distinctive rock formation at the southern tip of Cabo San Lucas in the shape of an arch) and Land’s End. If you’re traveling with family or a group of friends, the Villa La Estancia can fit up to eight guests in suites that range from one to three bedrooms. The exclusive AAA Four-Diamond luxury resort located on the white sands of Banderas Bay also has an exceptional spa where you can order treatments like the volcanic clay mask facial or an indulgent hot stone massage. Hungry? Visit one of the property’s gourmet restaurants and order specialties like Certified Angus Beef or catch-of-the-day selections at La Casona. A more casual option would be La Parrilla Restaurant where you can choose quesadillas, wraps, sandwiches and pizza. Up late? You can order room service or stock up your kitchen with food from the on-site supermarket. Villa La Estancia is also within walking distance to downtown, where you can book a private yacht charter with Seashine Adventures for you and a significant other or with a group of friends. There will be a private chef aboard that will pre-select your menu to your liking; and two staff persons to serve you premium alcohol and turn up the music from the yacht speakers. Also, life vests and snorkel/masks are on board for once-in-a-lifetime snorkeling experience in the vicinity of El Arco. The charters are on average four-hours long with morning and evening departures. If you want to grab food in downtown Cabo San Lucas, we recommend visiting the new Japanese cuisine restaurant, Nik San. This unexpected gourmet sushi venue offers excellent dishes like the sashimi salad; pan-fried spicy fish; and sake nigiri in a modern setting. Spend half a day in the remote wilderness area in the beautiful desert-like terrain of San Jose del Cabo, and take a tour of the Los Tamarindos organic farm and restaurant, a property dating back 200 years. We recommend a cooking class held in an open-air kitchen terrace with beautiful stone walls and wooden ceilings. Learn from an expert chef how to whip up grilled octopus; local fish; and tomato salads, all using herbs and greens from the property garden. Before catching your flight, stop by the El Merkado market, which is twenty minutes from the airport. The market is the first and only food market in Los Cabos with vendors like Dr. Oaxaca, that serves up large tortillas with vegetables inside and Cerveceria, where you can sample beers from a local microbrewery.